We spotted a wedding party in the town one day and Brian took this lovely shot of the bride. Iced coffee in the beach bar was a favourite before starting sunbathing! Some of the huge variety of plant life including flowers from the sea, a heart shrub and cactus trees. Peachy was so glad to see us when we got back; nine days of being kept in a cage at the cattery must have been hard for him to bear! After giving us loads of fuss he spent half an hour tearing up and down the stairs through the lounge and conservatory, round the garden then back in and up the stairs again (he was just a blur) - then he finally collapsed and had a nap. Looks idyllic - can I come next time?! ahhhh poooor Peachy...he thought you had abandoned him....I am glad he got it out of his system upon returning to his castle. He missed his obstacle course. I wish I could sleep in that position..heck, I wish I could sleep period! As far as your holiday...well, it looks wonderful there and it sounds like a great place to spend nine days,,,even without Peachy by your side. Looks great! Must put it on the list! looks utterly gorgeous - how do you manage to get back on the 'plane and come home? Such a lovely place - looks like Paradise and sounds like it too. I bet Peachy is glad things are back to normal. Our cat would sulk for days after a spell in the cattery and we had to coax him into being friends again. Your Greek island getaway is fantastic...I'm sure as soon as you leave you are dreaming of when you'll return again! So enjoyed all the closeups on your gorgeous photos...those birdies are precious! Your and your beloved look so happy and content! Happy Days to you dear one! Poor Peachey! He definately had a good workout then! 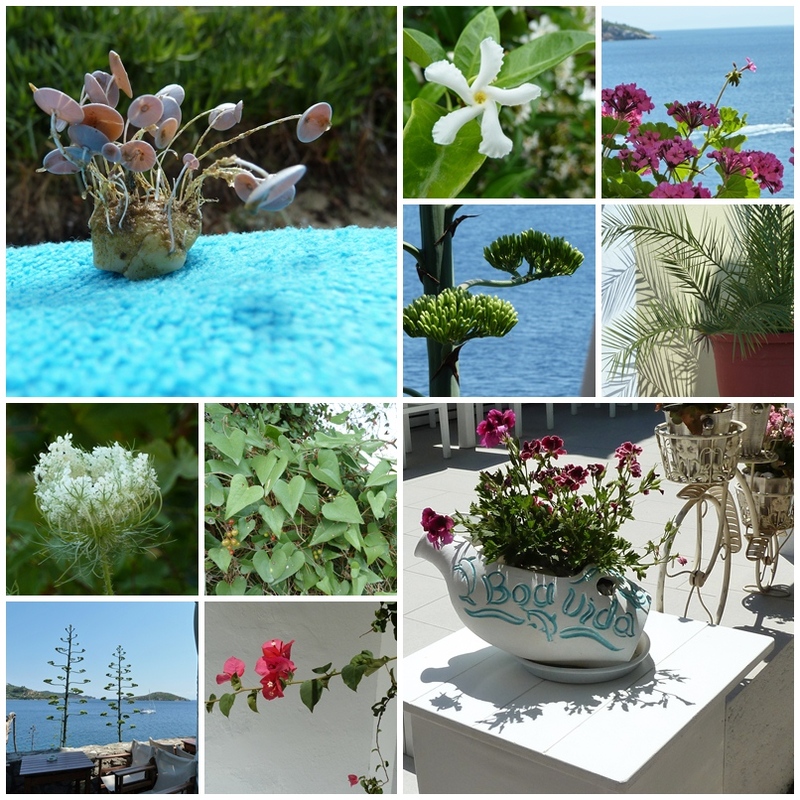 Thank you for sharing your wonderful photos of Greece and the swalllows and flowers. I studied them carefully - longing to return to Greece after hmmmm....21 years! I vowed if I ever remarried, it would be in Santorini, my favorite island - although I'm now tempted to visit your favorite! You can just tell Peachey is very happy that you are home and he can sleep in his own bed....Isn't it just so hard to go off and leave them.....? Looks a great trip, I wouldn't mind a bit of midge free warmth! Looks like you had a lovely time. 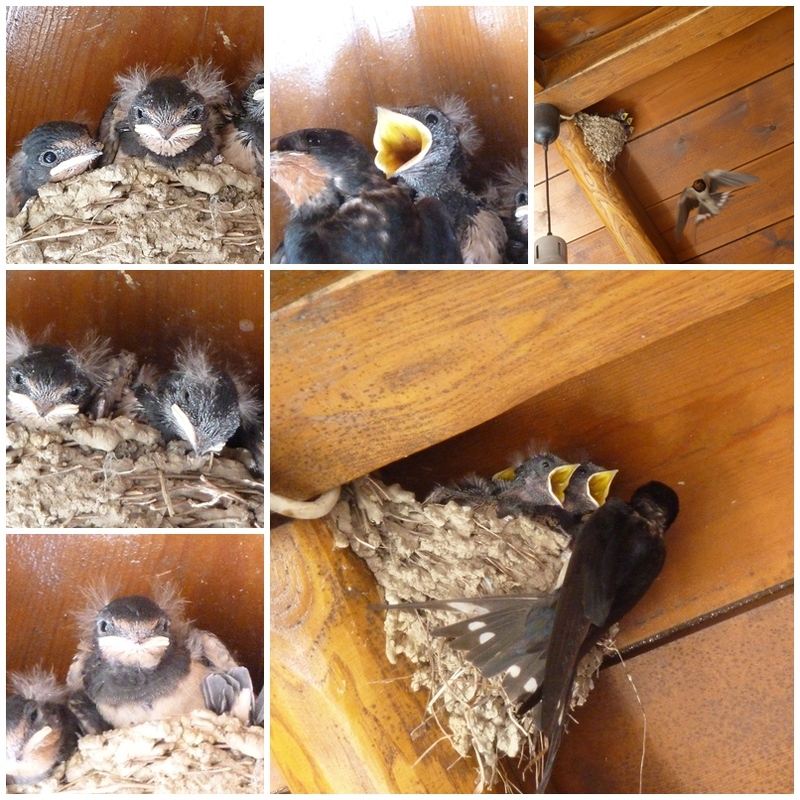 The swallows are lovely. Thanks for sharing Skiathos! I'd love to go again one of these days. That is a great place to be there I think ! And Peachy , so sweet , my big love ! Your photos are gorgeous, you and Brian look great, glad you had a wonderful trip! Welcome back lovely Linda! Sounds like you had the perfect holiday. Your photo's are stunning. It looks like a idyllic place to holiday. Laughing out loud at Peachy's reaction to you coming home. He must have missed you and Brian! Welcome home, Linda. That sounds like a perfect vacation spot! Peachy just is too funny. What a cat! Welcome back....we missed you (and Peachy)too! Greece looks wonderful and you look very relaxed sitting in the sunshine!!!! Beautiful scenery and the nest so cute!..seems your cat really missed you. Looks lovely Linda - great photos! 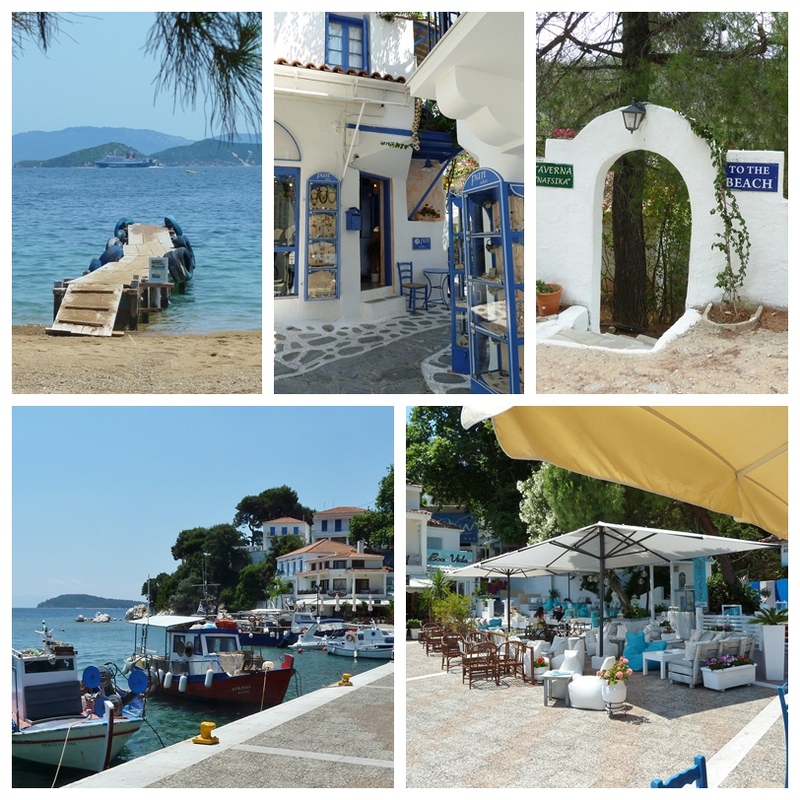 Skiathos looks like it's worth a visit - must put it on our list. What a fabulous vacation. I want to go, too! How spooky is this. I was just reliving my own trip to Skiathos through my blog posts and I came across a link to yours in my sidebar! Beautiful photos. Thanks for sharing looks like it was indeed a lovely holiday. Just caught up with all your new creations and they are beautiful. I especially love the memory box. o linda, your island looks quite dreamy....relaxing and inviting...poor peachy, he and our polly could have consoled each other! we were also gone for 9 days over beginning of july and boy! did we ever hear about it!! !